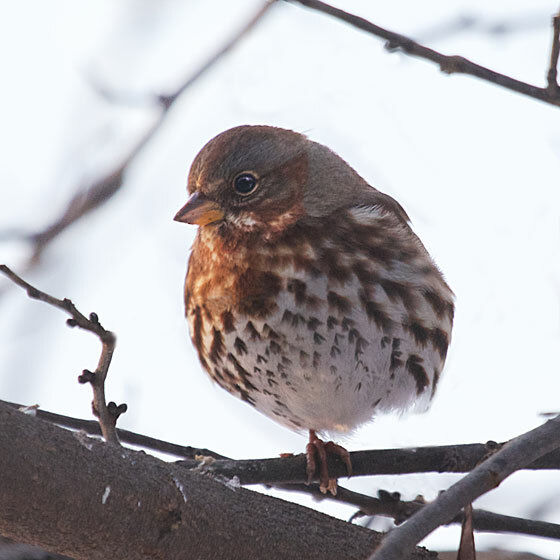 Fox sparrow centers its weight over the foot. Everything leans just so, to maintain balance and keep the other foot tucked up in the feathers. It's cold out there!